In early 2017, CW Therapy announced our first professional athlete sponsorship. 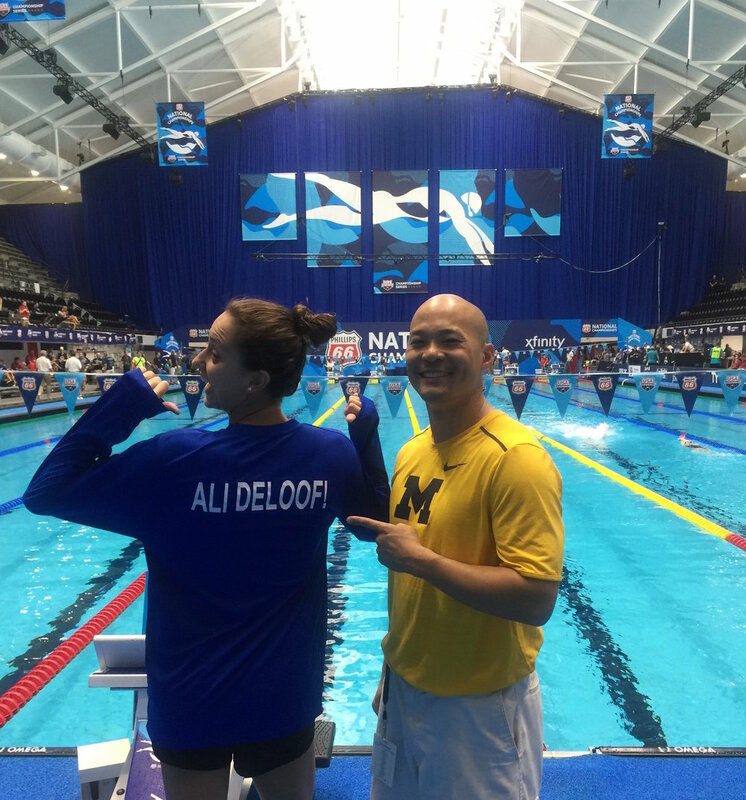 We are proud to support Ali DeLoof, professional swimmer and two-time USA Swimming National Team member. She earned two degrees from the University of Michigan, a bachelor's degree in psychology in 2016, and a master's degree in elementary education in the summer of 2018. Ali concluded her stellar collegiate career at the 2016 US Olympic Trials with a 4th place finish in the 100-meter backstroke. As a rookie in the professional ranks, Ali made some pretty big waves in December at the 2016 Short Course World Championships. She took home 5 medals, including a Gold Medal for her part in the World Record breaking 200-meter Medley Relay team, where she swam the fastest 50-meter backstroke leg in American history. In three appearances on the 2017 Arena Pro Swim Series circuit, she collected three wins in her signature 100-meter backstroke event. At the US National Championships, she finished 4th in the 100-meter backstroke to earn her second consecutive spot on the USA Swimming National Team. She finished her first professional season in style, representing Team USA at the World University Games, held in Taipei, Taiwan. There, she took home the Gold Medal in the 50-meter backstroke. While student teaching as a part of her master's degree program, Ali found a way to keep training at a high level so that she could compete in several of the 2018 TYR Pro Swim Series events. She continued to show that she's one of the fastest 100-meter backstroke swimmers in the country. Ali also placed second in two renditions of the TYR Swim Series knockout 50-meter backstroke competitions. Her 2018 season culminated at US National Championships, where she made the finals of the women’s 100-meter backstroke for the fifth year in a row. Having finally completed graduate school, Ali has now turned her focus back onto professional swimming full time. In September, she was signed by Fike Swim Products to their team of ambassadors (https://fikeswim.com/pages/ali-deloof). Shortly thereafter, Ali made the decision to join the Team Elite Swim Club of Santa Clara, CA. There, she joins a team of fellow World and American Record holders in their quest to compete for spots on Team USA’s 2020 Olympic team (https://swimswam.com/team-elite-adds-another-star-ali-deloof/). Ali DeLoof, we are so proud to have you represent CW Therapy! Ali brought hoMe some impressive hardware from the 2016 Short Course World Championships. Ali blazes to another 2017 Arena Pro Swim Series victory in the Women's 100m Backstroke in Mesa, AZ. Ali representing for CW Therapy! Chris trying to help. Ali finished 4th in the Women's 100m Backstroke at the 2017 US National Championships, earning her a trip to the 2017 World University Games in Taiwan! Representing Team USA, Ali won the 50-meter backstroke at the 2017 World University Games, held in Taipei, Taiwan. Ali with her 2017 World University Games Gold Medal (and golden bear). While finishing her master’s degree in elementary education, Ali was still able to make her mark and impress in the 2018 TYR Pro Swim Series. Ali made the finals of the women’s 100-meter backstroke for the fifth year in a row. Ali DeLoof, Fike Swim Ambassador! In September 2018, Ali was signed by Fike Swim , an innovate Swim Products company, to join its team of ambassadors.